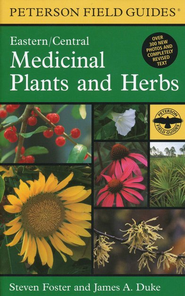 Peterson’s Field Guide to Medicinal Plants and Herbs is a wonderful tool to have. They make one for the region you live in, so grab one today. Once you get it, use it to help you log useful plants. This entry was posted in Country, Emergency, God, Louisiana, Nature, Survival, Survivalist and tagged Country, Emergency Survival, Louisiana, Nature, Survival, Survivalist. Bookmark the permalink.